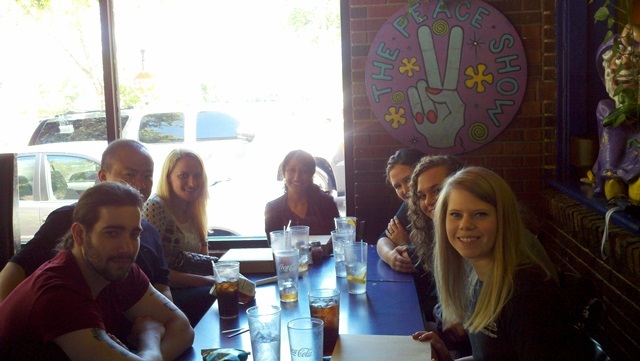 Lab lunch on May 13, 2013 to bid farewell to Callie, Christa, Mary, Nicole and Samantha. From left to right: Matthew Maestri, Xin Chen (partially obscured), Samantha Spitler, Mary Gadalla, Nicole Streeb (partially obscured), Christa Armfiled (partially obscured), and Callie Jowers. Don’t you just luv the professional job Jay did taking this picture?